Hired them to do drywall for my 800 sqft new addition. They were clean, punctual and professional. I was happy with the job they did. Would hire them again for sure. Amazing work. I have a serious hot water line leak in my foundation recently. The plumber and I had to cut numerous holes in the walls to reroute the line. My wife was not a happy camper ;-( But these guys made it all “go away”. We can’t even spot where the holes were now. They are magicians!! Extensive work by a respectful and friendly team. Eugene was consistently professional and alert to need for being neat before the mess was created. Whole house acoustic removal, retexture several walls, repairs, whole house painting and baseboards. Satisfied and would call these guys without hesitation! Hugo and his crew were a pleasure to hire. I remodeled my bathroom and needed some drywall patching and retexture. I couldn’t have been more pleased. Very professonal, fair, on time, efficient…all the traits you look for when you hire someone to work in your home. Thank you Hugo!!!! We had some water damage to the walls around our tub. Even though there were numerous positive reviews on Yelp, I still checked out California Quality Drywall on BBB. The positive reviews, the BBB rating, and the fact that California Quality Drywall was a member of BBB convinced me to call Hugo for a quote. He came out the next day to inspect the damage. He provided me with a fair quote and I decided to hire him. The next day, Hugo came back out and cut out the sections of the drywall that were damaged. I was concerned that there would be water damage in other areas as well. Hugo was patient and agreed to cut out several other sections just to make sure there were no additional damages. Hugo wanted to return a few days later to finish the work. However, I was scheduled to be out of town for about a week. Hugo was willing to work with my schedule and we made arrangements for the work to be finished after I returned. Eugene, Hugo’s brother, showed up to install the drywall. He did a wonderful job. Some contractors don’t like being watched while they work. As a female and a homeowner, I just want to see what is being done. However, Eugene was very nice about this. He even explained to me what he was doing throughout the process. The knowledge he shared with me convinced me that this is definitely a job for the pros! The work Eugene did was beautiful! After he hanged the drywall, he textured it, and then informed me that another person was coming to paint because he had another project that day as well. The painter was Hugo’s brother-in-law. He came with matching paint. However, due to the lighting in the bathroom, the paint color did not look quite right so he asked me if he could paint more wall areas so the colors on the walls would match. He did a good job painting. However, after the painter tape was removed, I noticed that the new drywall section that should have been flushed against the bathtub was not quite flushed. I asked him about it. However, I am not sure if he understood me. He left me the can of paint. After he left, I touched up that section of the wall with the paint and now the wall does look flushed against the tub. Other than that minor paint incident, California Quality Drywall did an excellent job. My husband was very impressed when he got home. Now you cannot tell that there was ever water damage on those walls! Four and a half stars because I should not have had to touch up that small section of the new drywall with paint. However, I rounded up to five stars because Eugene and Hugo were wonderful and the quality of the work is outstanding. We’ve had Hugo and the guys do 2 jobs for us. First was a removal of the acoustic ceiling and then troweling it. Our kitchen had a drop ceiling with a totally unfinished interior. They finished it out after new lighting was installed. They also did some drywall repair on this job. The 2nd job we had them paint the ceilings, walls and install crown moulding. One room has a vaulted ceiling which required scaffolding, both for the acoustic removal and then the painting. They moved furniture before the jobs, then replaced it after they were done. They covered all items with plastic each time. They worked diligently and always were on time if not early to start. The crown moulding installation looks outstanding and we couldn’t be more pleased. We can’t say enough about how well the jobs were done and would recommend Hugo to anyone needing drywall or popcorn ceiling removal. Try them and you’ll see. A consistant 5-star rating is not wrong. Needed some quick work to patch holes left by a major plumbing repair. Hugo and his team arrived on time and completed their work in less than two hours. They matched the ceiling texture and bathroom wall “orange peel” texture extremely well and left everything “paint ready”. They were thorough in their clean up, after they left you could not tell they had been here making extensive repairs. I would use their service again and recommend them to anyone who needs residential drywall help. California Quality Drywall was recommended to me by Tony at Courtesy Plumbing. I called Hugo for a minor drywall fix to my ceiling after the plumbing leak had been fixed. It was quick and convenient to set up a time for Hugo to drop by to give me an estimate. Turned out he could do it right away because the job was small. Hugo was honest — he probably could have told me more work needed to be done, but he explained what he thought he could fix it with a small patch and some KILZ spray. I went to Home Depot to get the KILZ while Hugo went to work. He was finished and waiting for me when I got back. Top-quality workmanship, neat and clean, honest. As another reviewer said, good contractors stick together. My husband and i were very lucky to have hire hugo and his crew,they came to our home on sat at 7am and was done by 2pm,everything was great,i could not have been more happy. ( GREAT JOB GUYS ) i can tell you all this call them,they wont disappoint. Hugo and Eugene were suggested by my plumbing contractor to replaster and paint after a full condo re-piping. They were on time, pleasant, neat, knowledgeable, very concerned with pleasing, and finished a day and a half earlier than the plumbing contractor had estimated. When have you ever heard that???? My husband and I would needed some patch work on our ceiling as well as some painting. Hugo and his crew were very reliable, they arrived on time and finished the job when they said they would! After completing the patchwork on the ceiling, Hugo was not happy with the texture so they re-textured the entire kitchen to make it look uniform!!! No extra charge. We were so impressed with Hugo and California Quality Drywall Services that we will be calling them back for future home projects and spreading the word about their great work!! Very highly recommended!! Hugo and his crew are awesome! I worked in construction for quite a few years as my Dad’s apprentice and learned a great deal. However, My current job is as far from construction as possibly… it is actually demolition now, and i am extremely busy! So when my wife told me she wanted the garage finished while she was away visiting family. I rushed straight to yelp! I contacted 4 contractors, received bids from 3 and the only one that i had confidence would do it right just from talking with them, was Hugo! So i hired him and he was extremely patient with my crazy schedule. Out of the 3 quotes Hugo fell in the middle. He was only a few hundred more than the cheapest quote (which i think was unrealistic) and he was almost $1k cheaper than the larger company that gave the other quote. His price never changed, he was prompt, courteous and easy to talk too. I also had some minor changes in the middle of the job and Hugo made the changes without so much as another word. It took him 4 days to completely insulate and drywall the whole garage and even fix some of the existing drywall. He would have been finished sooner if it wasn’t for my changes and me having to kick them out early one day. I have to say that a few days i went into the garage and it still looked rough but by the time they finished hanging all the drywall, taping and floating the walls and applying the texture it was night and day different. I am extremely satisfied with the work they provided and highly recommend them over any of the other drywall guys. I will post the before and after garage pictures so you all can take a look! Again, Thanks Hugo for the great job on the garage my wife is very happy with it! As everyone before me has said, Hugo and his crew were excellent from beginning to end! My husband is very particular and usually does ALL the work on our house but could not tackle this project because of a serious back injury. Hugo impressed us from estimate to completion. Our job was complicated (I plan to write a more detailed testimonial on the CA Quality Drywall’s website-when I have a little more time to sit and write) and lasted over a week. Everyone arrived and got right to work every day and neatened up before leaving each evening. Our communication was great, Hugo was always accessible by phone if he was not here with his crew. I never once felt uncomfortable with the crew in my house even when I had to run out to gather children from school. We were so impressed with the drywall work we asked Hugo if he could recommend someone for painting…his crew paints! Awesome job on our room, 3 colors with beautiful edge work!! (ceilings, walls and accent wall)! On time, hardworking, great price, courteous, respectful, professional and wonderful attention to detail=great results!! I wish everyone lived up to their Yelp reviews the way CA Quality Drywall does! Hugo and his team did a great job taping, mudding and texturing my garage. They did the whole thing in one day. They showed up on time, were friendly, fast and clean. Definitely recommended. Hugo and his team are exceptional! I called him based on the other Yelp reviews and he and his team certainly held up their end of the bargain and more! His team completed some tile/drywall repairs for me in a bathroom enclosure where the grout had failed due to age. The quality of work was great and I have not had any issues. In addition, when I asked him to refer me a reasonable paint contractor for a rental property in Imperial Beach, he volunteered to put a team together for that too! The completed the entire house (~1500sf) in one day with superb quality of work and COMPLETE and thorough cleanup. The were on time and very pleasant to deal with. I will definitely use Hugo again! hugo and his men are highly experienced professionals that get in and get the job done right, the first time. I was extremely impressed with the results. I will always use him in the future, and be confident in his work. California Quality Drywall did a great job installing drywall, baseboards, and painting my bathroom in my home in Scripps Ranch. Hugo and his crew were on time, professional, and courteous. There were friendly and their price was reasonable. I would definitely recommend them to any one. I just had Hugo and Hugo (yes, two Hugos) leave my house after patching up an approx. 2′ x 3′ wall that needed to be opened up for a plumbing problem. I was skeptical that anyone would be able to repair it and match the pattern. I was pleasantly surprised! Great job- you can’t tell the ceiling’s been repaired! Boss Hugo was very helpful and friendly. He answered all my questions and had no problem with me watching the process (it was very interesting to see how they texture the drywall). I definitely recommend using their services. They were highly recommended to me by a plumber and I’m grateful I didn’t hire a handyman who may not have had the experience with drywall that Hugo and Hugo did. Oh, yeah, and the price was very reasonable. Plus they were careful to cover up the area and lay down drop cloth all the way to the door to avoid a mess in the house – greatly appreciated! Quality Drywall did an excellent job. The house is 1920’s, Hugo had to patch several areas, matching to the lathe and plaster. There was 1/2′”, 5/8″ and 1/4″ drywall. Also he had to wrap my framing, which was less than perfect. This was labor intensive job. He did not complain. He did not try to re-price the job. He did do a great job. His communication is the best I have encountered, (he likes his Iphone). I hired him again to do another job. Patch a watered leaked ceiling. The second job was as good as the first. He was on time. Pleasant to work with and courteous. He deserves 5 stars. Quality Drywall Services did a great job. Hugo did some drywall patching and texturing at our church. Hugo was very polite and quick with his bid for the job. His price was very reasonable. He showed up on time and completed the job in the prescribed time. All in all I was very pleased with his work and friendly demeanor. I will defiantly use Quality Drywall Services again in the future. I contacted Hugo to come and repair a bathroom wall that had been torn up to move some plumbing. He showed up early, used a tarp to cover where he would be walking, did all of the drywall cutting and other messy work outside and did one of the best repair jobs I have seen. You cannot tell anything was ever torn up. Attention to detail was great! Definately will use again. pretty obvious from the reviews here that Hugo and his crew are top notch! we repiped our house and did a bathroom reno and had Hugo’s team come in and do some finishing work. we did the first part, they did the rest. they weren’t the cheapest solution, but their work really is top notch. i did the painting as well and Hugo gave me some tips on how to feather the edges of the new texture to blend in with the old. followed his instructions and it came out beautiful. we had three different types of textures and they matched each one with mad amounts of skill. there was some overlap with my contractor and the drywall crew and after all was said and done, my contractor was missing a large area tarp. i called and asked Hugo if his team might have accidentally picked up my contractor’s tarp. he asked and they said they didn’t but that he would replace it. i’m in oceanside and they’re based in san diego. Hugo personally drove up a brand new tarp and handed it to me the next day. it’s rare to find a business owner so focused on customer service. Hugo, his brother and the entire team were very professional and friendly. it’s good to know that i have a reliable drywall crew for the next home reno project. I came across Quality Drywall Services on here last night and emailed Hugo after reading these reviews, everyone is right, I emailed through his website must have been around 11pm and first thing this morning maybe 8.30am Hugo called and arranged to take a look at my job 11am today. 10.58am he actually arrived, assessed the job and said actually alls I needed to do was run a fan on the area for 4hrs and all should be golden. My washing machine over flowed, I realized 5mins after it was over flowing immediately turned it off and cleaned up the mess, downstairsunit beneath us, had water pouring through their smoke alarm, so fast I was surprised. I figured maybe there is damage in our unit also. But fortunate for us there wasn’t. Oh and that wasn’t the best part Hugo didn’t charge a dime for coming out to check. We will use Hugo when we move at the end of the yr when we buy our own house. I have never had a work man say he will be there at a certain time and show up as promised, let alone few mins early. Thanks Hugo, you have restored my faith in work men, thanks for not trying to rip us off. Hugo , Eduardo and their crew are AMAZING! They came out immediately to give my client an estimate, their price came in so reasonable, they came out the next day and their crew were so polite and cleaned up afterward. Their work is fantastic and I have ALREADY referred them to another client and will continue to make them my only drywall referral company. If you need popcorn ceilings removed~ these are the guys!!! FANTASTIC! Hugo, his brother and crew are just the best – Period! They did all my ceilings, touched up, repainted my home. Everything went exactly to what was discussed and the work was just beautiful. No mess, fumes, or hassles when I came home every night to see another several rooms further along or complete. Absolutely beyond my expectations! And I mean it. I was in need of some water damage repairs and found quality drywall services through yelp reviews. My experience with the company was great, they were on time, had good prices, and were very courteous. The finished product was seamless, in fact I couldn’t even tell repairs had been made! I will definitely be recommending this company to my friends and family in the future. I was in a bind and needed a patch fixed with orange peel texture in order to get painting done on a rental unit. Called Hugo and he was entirely helpful. He shifted around his schedule to fit me in for Saturday morning with one day notice. Exceptionally flexible under the circumstances. Hugo and his brother showed up 20min early and ready to go. They are quite a team; and they really focus on keeping the site clean and free of spray bits from the hopper. They worked quickly and effectively; and before I knew it, they were done. They did an outstanding job matching the existing surface – it is impossible to see anything that would suggest there was ever a hole there! These guys are not just friendly and efficient – they do great work at a fair price any day of the week. Arrived on time, performed the work very nicely and charged the agreed upon amount. Rapid communication via text and email. What more can you ask for. Yelp comes through again! I called Hugo on Monday of this week to help me patch two large panels in my laundry room. Hugo was extremely professional and responsive and was able to work me into his schedule for the week. The Drywall Expert (Eugene) showed up right on time, was also professional, easy to work with, and got right down to business. Within two hours, Eugene was able to patch and texture two large sections of my wall and they look great. He was very detail oriented and neat, and I appreciated that he spent time prepping the area with plastic to contain the mess because he left the room as clean if not cleaner than when he arrived. I will call these guys again and have no hesitation making a recommendation. I just used them for some drywall repair needed after some pluming was done where the wall needed to be opened up. California Quality Drywall was recommended by Courtesy Plumbing. If you look Courtesy Plumbing has one of the highest ratings on Yelp in any category. I tend to believe that good contractors stick together. If one has high standards they tend to gravitate towards others with high standards, and I was right in my assumption. Hugo came over and did an awesome drywall patch and paint job.. He matched the pattern of my drywall perfectly. I just purchased this home and if I go around the house I can see obvious patchwork and painting done by lesser artisans. Hugo is the man, he did a great drywall patch job and it’s virtually invisible. The paint job was excellent as well. He is a nice dude, friendly and informative. I’ll surely be calling him again, as I’m going to have a few other jobs in this house. Oh and his price is really amazing too. I can’t see a reason to call anyone else. I doubt you’ll be disappointed. If yelp allowed me to give MORE than 5 stars, a 5 plus, something of the sort, that would be what I give Hugo and the crew at California Quality Drywall. The great reviews on Yelp convinced us to call him, and because of these reviews my expectations were high, perhaps higher than normal, and Hugo and the guys did NOT disappoint. We had an unfinished laundry room in our house, that we finally had the chance to attend to. Hugo came, gave us a fair estimate, and was very flexible with scheduling out the best days/times to come, as we have a few other projects in the works as well. He and the crew where here on-time, and got straight to work. They were quick, and clean. By the time they left the first day, after completing the first phase, you wouldn’t even know there had been people working in the room, it was spotless. The room looked great even before they did the texturing and the paint, but once that was all done, it was an amazing transformation. We’re kicking ourselves for not having taken some ‘before’ pictures. The best thing about working with these guys however was their attitude. They were friendly, professional, and above all, you can tell they were PROUD of the work they did. Hugo was just as excited about the way the room turned out as we were. If we ever need any drywall services again, I know who I’m calling, and I would not hesitate for a second to suggest California Quality Drywall to anyone. Hugo and his guys are the absolute best. We had drywall repair in all bedrooms… their work was top notch and seamless. Hugo is super organized, accessible, honest, and was flexible with scheduling. We were very impressed and would use these guys again in a heartbeat! My husband and I attempted to scrape the popcorn from our ceilings 9 months ago and it was SO much work that we decided to hire someone to come and finish the job (i.e. texture and paint). I first checked yelp and narrowed it down to 3 companies that I would contact for a quote and go from there. I emailed Hugo and 2 other companies (one of the other companies had 4 stars & the other had 5 stars on yelp) late one evening. Hugo sent me an email that night saying that he would contact me first thing in the morning to schedule a time to come by for an estimate. I kid you not, the other companies NEVER even responded (to this day). Hugo followed through and called me 1st thing the next morning and was willing to come to my house that afternoon. He gave me a quote and I told him I was going to check around and get back with him. I was also a little unsure of what type of texture to use. I was inclined to have the same tetxure that’s on my walls. Hugo explained that he was happy to do that , but he also told me that the skip-trowel was more popular these days and he recommended it, but it was up to me. I was worried about the skip trowel looking ‘chunky’, but he told me they could sand it down, so it’s just a little bit of texture and the ceilings would essentially look flat with just a little texture. I went with his advice and told him to go ahead and do skip trowel. When I didn’t hear back from the other people, I decided I didn’t want my $ to go to them either. Hugo clearly wanted the job and so far was impressive at his quick responsiveness. I called him back and we scheduled a date. He told me it would take about 3-4 days to complete the entire job with paint and everything (we had him working on 2 bedrooms, living room, dining room, 2 closets, 2 vanity areas). He honestly didn’t require me to do anything to prep for it (I still removed the stuff from the top of my closets to make it easier for them). I left my key under the mat for him and his crew. I came home the 1st night expecting plastic everyhwere and a job slightly started, but to my surprise, it looked like nobody had been there! It was clean and all the ceilings were textured! No plastic was anywhere! HOLY CRAP I thought!!! That was pretty much worth the money right there! He came back the 2nd day and called me by the end of the day to tell me they finished early. It was perfect timing, b/c I was on my way home from work. We did a walk through and my condo looked AMAZING! I’m so glad he recommended that I go with the skip trowel…I don’t know why I was worried. My ceilings look flat! I LOVE IT! WOW…. I’m so impressed and cannot wait to use Hugo and his team of professionals again. Clearly these guys know what they are doing and they work FAST! I highly recommend Hugo to anyone… I completely trust this guy with my home! THANKS AGAIN HUGO! YOU MADE MY DAY!!!!!!! 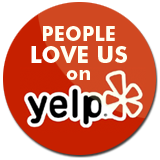 I am proud to write this review for Hugo A… The owner of California Quality Drywall Services.. I have to tell you it is an ART to match up drywall and texture the wall and Hugo did a fantastic job. Thank you Hugo, you work fast, efficient and you cannot even tell the wall had any work done on it.. I agree with everyone else on yelp about California Quality Drywall. Hugo and his crew were excellent; they were very meticulous and detailed on the job and were very courteous and respectful in my home. I will be posting pictures of the rebuilt half wall and fireplace soon (once the wife decides on what color she wants it painted). Hugo initially said that the job will take about 3 days for two guys to get the job done, starting at 8:30 going all the way to 4:00. When the day came around (pretty much right on time) I see Hugo and four guys heading towards my door. Hugo informed me that one of his jobs got cancelled so I had the entire crew. This three day job quickly turned into a one day job. They applied the finishing touches right at around 3:30pm and I was very satisfied with the work. I would also like to add that they make every effort to ensure that they do not damage or dirty your furniture, appliances, or anything. I already have a few things around the house that we will need Hugo’s attention. These guys break the mold of the typical drywall company. I have been in construction for 15+ years now and I have used many drywall contractors in the past and have had to clean up after “the other guys” and waste my valuable time waiting for previous drywall contractors to show up late, but these guys do great work and I never have to apologize to homeowners for the mess left behind, because there never is one! Employees are easy to talk to and are courteous and very professional. They are a must use company! My husband and I were lucky enough to hear great things about California Quality Drywall before we were set to hire someone to put up the drywall in our new addition. Hugo and his employees had been so highly recommended by friends of ours that we didn’t even bother calling other businesses for quotes. While it seems a little risky, Hugo and everyone at California Quality Drywall lived up to their rave reviews and did an excellent job at our house. Not only did they complete the job perfectly, on time and for an excellent price, but they were also very respectful of our home and accommodated our schedule. We couldn’t be around to let them in on the proposed first day of the job so Hugo said it was no problem for them to push our start day back. These gentleman are highly professional and its’ obvious that they enjoy what they do. I popped in at lunch time to check on how the job was going and I could hear them laughing and talking away as they worked. From the amount of work they got done that first day, it’s clear that they worked hard and steadily all day. Great workmanship and pride in one’s work can be hard to come by these days and especially in these sorts of trades. We feel very lucky to have found California Quality Drywall. My wife and I are really impressed with everything from start to finish. I wish all contractors were as kind, honest, punctual and professional as his team. We also hired him to paint our project and his suggestions of color and type were beautiful. I used Hugo and his crew three years ago in a large remodel of my home…they were great then and still are. I had two rooms to complete recently and the first person I thought to call in for the job was Hugo from California Quality Drywall Services. They were dependable, trustworthy, got back to me quickly, left my house clean and worked with me on several issues. They even finished the job earlier than expected! I’ll be using California Quality Drywall Services again! Hugo and his team came by today to do some drywall repair work and we are very pleased with the job they did. We highly recommend them and if needed, we would definitely use them again. They were very friendly, professional and efficient. We were impressed. We found Hugo on Yelp (based on the favorable reviews). When I called, Hugo was responsive and flexible with timing. He gave an estimate yesterday and came to do the work today. Awesome! The quality and skill required to do good drywall work cannot be underestimated. We are certainly glad we went with Hugo and company. Thanks guys! I highly reccomend Hugo and his crew. He was able to give me a free and accurate estimate that did not change after the job was done. He is professional and friendly to deal with. I had his crew paint my 600sqft condo and the place looks brand new now. You wouldnt know anyone lived there for six years. His crew was was prompt and kept in touch by phone and text message. From start to finish this was a quick and easy process! Hugo and his staff were professional and friendly. They showed up on time, were very respectful of our home, and completed the job without fail! I would call them again in a heartbeat and highly recommend them to anyone in need of his services! Hugo’s the best. I called him because of his very solid Yelp reviews. In fact, I called him Saturday, and he came on Sunday! Hugo is a terrific guy–very honest and congenial. In addition, he works on your house as if it were his own house. He does high quality work, and his price for my job was very reasonable. This job involved a mix of plaster and drywall, and had lots of detailed cut-outs. It also involved matching an existing “knock-down” texture. Hugo takes pride in the quality of his repairs, and when he finished, the walls looked perfect. I highly recommend him. California Quality Drywall painted my bathroom today using a technique faux painting. I will be posting pictures soon to their website. I have known Hugo Arreola for several years now, from when he first patched our drywall and popcorn ceilings after our replumbing, to when he scraped off the popcorn ceilings, retextured and painted them. So when we were remodeling our bathrooms and needed some drywall done, I immediately thought of Hugo! Hugo and his company are very friendly, neat, punctual and do a great job. They are also pet friendly! I would definitely recommend their work to others.